GraceToYou.org | This Thing Called Life . . .
Another good one from John MacArthur’s Grace to You site. Today I’d like to share with you something I saw and read a couple of months ago on John MacArthur’s Grace to You site. The portion of the video and interview below are about contemplative prayer, a phenomenon that is not new but is steadily growing. Below is the portion of the interview video where John MacArthur addresses the subject of contemplative prayer. PHIL JOHNSON: What are your thoughts about contemplative prayer and the whole spiritual development movement, you know the Dallas…? JOHN MacARTHUR: That’s just a lot of bunk. JOHN: You know, it is. It’s just…look, it’s sort of a contemplating your navel, intuitive spirituality, digging deep into find your spiritual core and your spiritual center which is nonsense, but they throw Bible words at it, words like Jesus, God, Holy Spirit. JOHN: Oh it is mysticism. The assumption is that spiritual truth is somewhere inside of you and that is not true. Spiritual truth is outside of you, it is external to you. It is in a book, outside of you. It is not in you. You can contemplate yourself all you want, you can go sit on a rock in the middle of nowhere and think and you will find in you no source of divine revelation whatsoever because divine revelation is external to you, it’s external to every human being, it’s in a book that God wrote. And when you put the book down and start looking into your own brain, all you’re going to do is be led down a black hole. So…but everybody’s into spiritual formation. I was looking at a church website the other day and it proclaims itself to be an evangelistic church and an orthodox church, happened to be a Presbyterian church. And the whole website was about spiritual formation. And one of the things that they were offering was dance class in order that you can learn to get in the rhythm of the Holy Spirit. I mean, that’s just…that’s what J.I. Packer called zany. I mean, that’s just crazy stuff. But that’s what happens when you start trying to poke around inside of yourself for spiritual truth when it’s all contained in one book and that book is external to you, and the spiritual truth resides in that book, if you never lived, or if you never had a thought…it’s the external truth that we must understand because there’s nothing inside until that truth gets in our minds. And then you can go into your mind and draw out biblical truth. But if you’re trying to look deeper than what’s in your brain, which is what this is about. I don’t get it, you know me, I’m about as mystical as a rock. But I don’t even know what they’re doing and I don’t know what they come up with but all of that mystic stuff, Dallas Willard and others like him, confuse people because they use the name of Jesus and they talk about God and they use Bible verses. Why is Contemplative Prayer Critically Wrong? 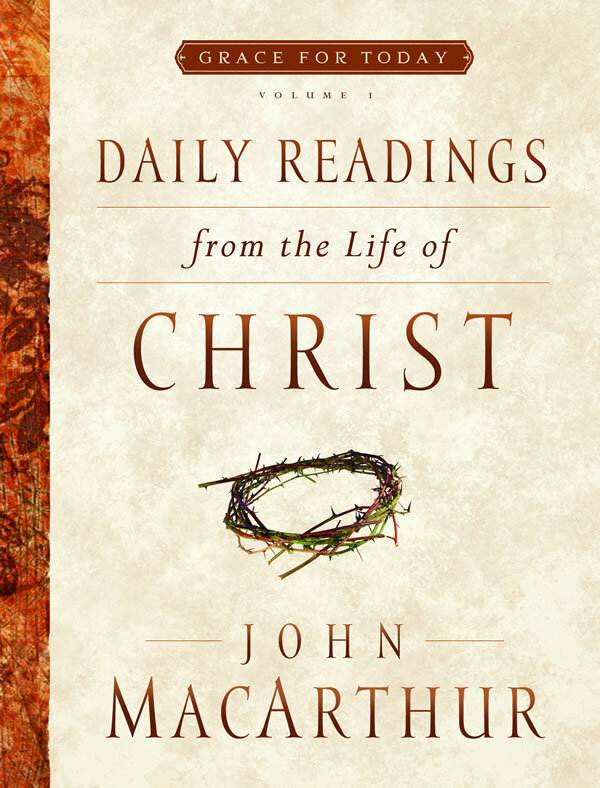 Here is another great devotional by John MacArthur. Please visit his Grace to You site, where you will find tons of wonderful Biblical information, sermons, studies, links and other resources. This was last Sunday’s daily Bible reading, which I subscribe to via email. “When He came to the other side into the country of the Gadarenes, two men who were demon-possessed met Him . . . and they cried out, saying, ‘What business do we have with each other, Son of God? Have You come here to torment us before the time?’” (Matthew 8:28–29). Demons can attack people mentally, physically, or spiritually. Spiritually, they oppose true religion, promote the false, and control the occult. Intellectually, they advocate false ideologies, insanity, and masochism. Our Lord always recognized demonized people as being victims of powers beyond their control and in need of deliverance, not condemnation or exhortation. By calling Jesus “Son of God,” the demons controlling the Gadarene men showed they knew His true identity. They recognized Him as their spiritual antagonist who had the full authority to destroy them at will. Their question “Have You come here to torment us before the time?” further recognized that there is a God-ordained schedule, not yet completed, when He will relegate them to eternal damnation. As in other subjects, the demons had a correct doctrine of last things. But such belief is mere recognition, not acceptance. James reveals that even they tremble at the consequences of unbelief: “the demons also believe, and shudder” (James 2:19). Demons despise everything about God and His Son. Yet they can’t do anything but pay Jesus the greatest deferential respect when in His presence. That supports Paul’s teaching that one day at the name of Christ, “every knee will bow, of those who are in heaven and on earth and under the earth, and that every tongue will confess that Jesus Christ is Lord, to the glory of God the Father” (Phil. 2:10–11). Seeing the demons so obviously in fear of Christ’s dominance should encourage us that He is more than able to handle any situation. Have you been withholding a need from Him, not sure He cared or could do anything about it? Bring it boldly to Him today. This devotional originally appeared at Grace to You.